Server Performance influence Online Transaction? Having a good dedicated server hosting backed by a reliable web host can help your business in so many ways. A server not only acts as a central storage for your important data (including customers’ confidential information), it also plays an important role in accepting online transactions. As a result, having a great server with good security will effectively help your business to stay on track, protect crucial information, avoid hefty business loss, and gain higher customer trust. 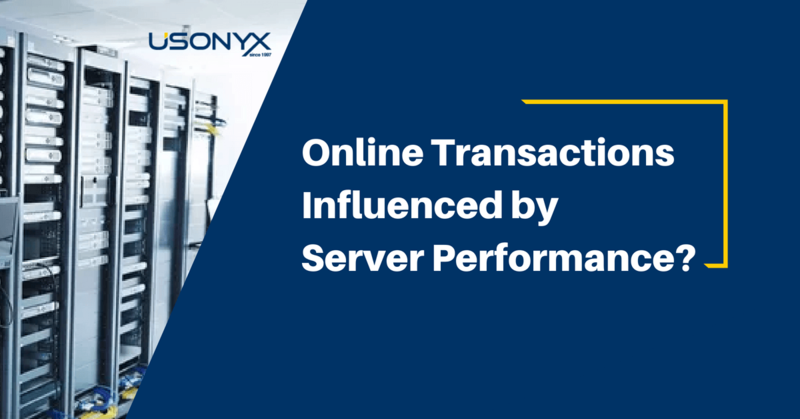 In fact, online transactions rely greatly on server performance, and if anything goes wrong, the entire business and its reputation will be adversely affected. So in what way exactly can your server hosting affect online transactions that take place on your website? When you have a reliable server in place that takes care of the online transactions of your business, it will build trust with your customers and gradually establish the reputation of a trusted online business. The better security you provide along the transaction process, the more trust you will gain from your customers. Speed is a main concern in today’s digital world. Transactions that take too long to complete will irritate your customers and keep them away. Imagine a customer waiting too long for an online transaction to complete. Chances are slim that he or she would come back again in the future for repeat purchases. In addition, the speed of transactions matters greatly as it shows how well prepared is your company (both hardware and software) in accepting online transactions. With an effective and high performance server, online transactions that take place on your website can be completed effectively without any hassle. When things go smoothly, you don’t need an extra team to keep an eye on it — all additional costs can be directed to other more important aspects of your business. In conclusion, having a reliable server hosting will not only make your business operation smoother, it can also help you to build a good reputation online, which can take plenty of resources (money & time) to establish.